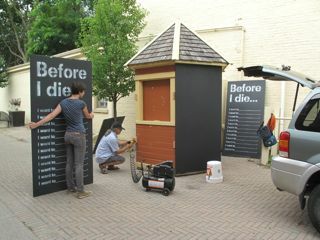 Interactive installation in Lent Lane, Port Hope: July-October, 2013. 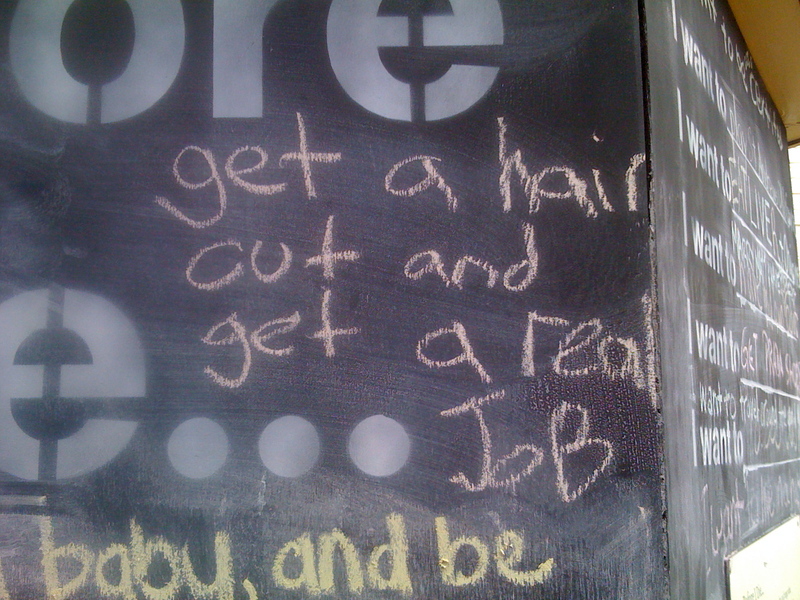 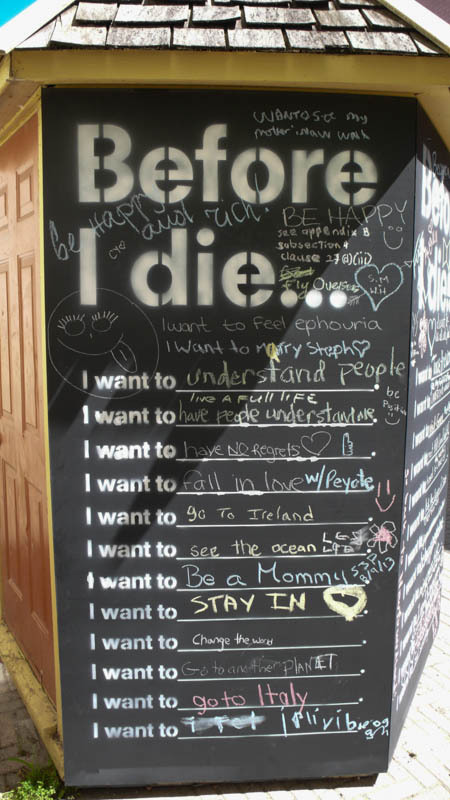 Before I die… It’s easy to get caught up in the day-to-day and forget what really matters to you. 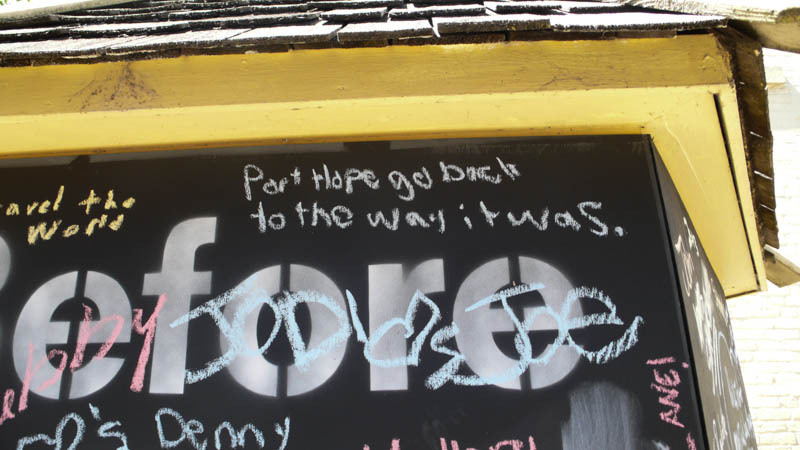 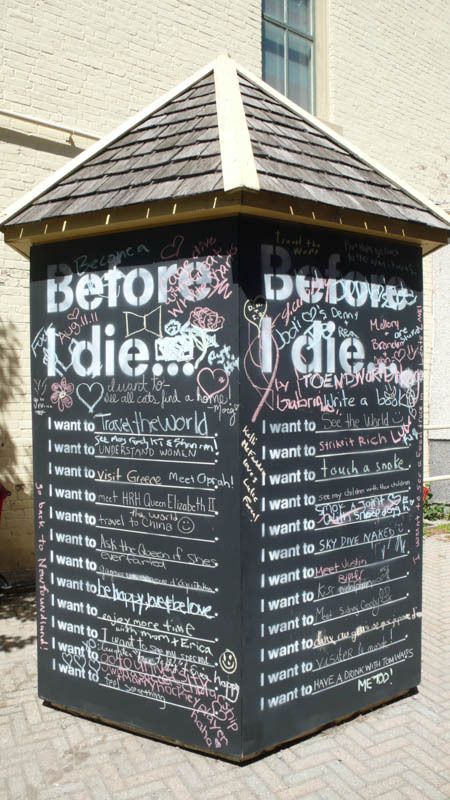 “Before I die…” is a global public art project that invites people to reflect on their lives and share their personal aspirations in a public space. 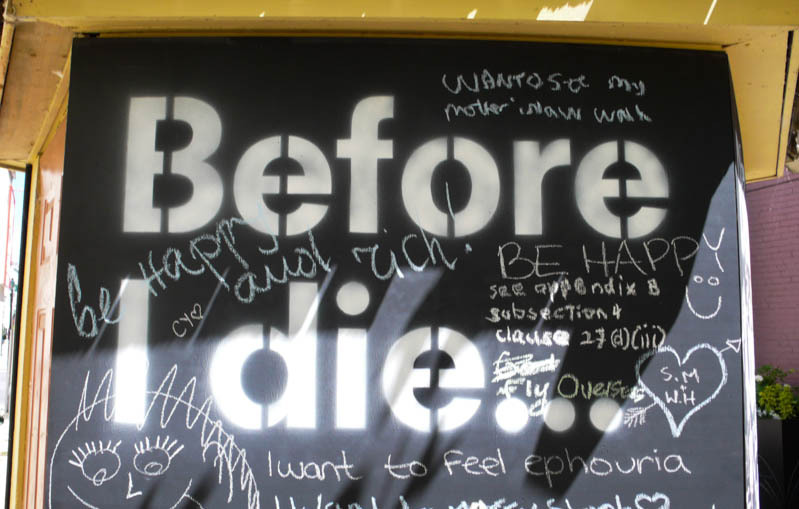 The first version of the project was created by artist Candy Chang on an abandoned house in her neighborhood in New Orleans after she lost someone she loved. 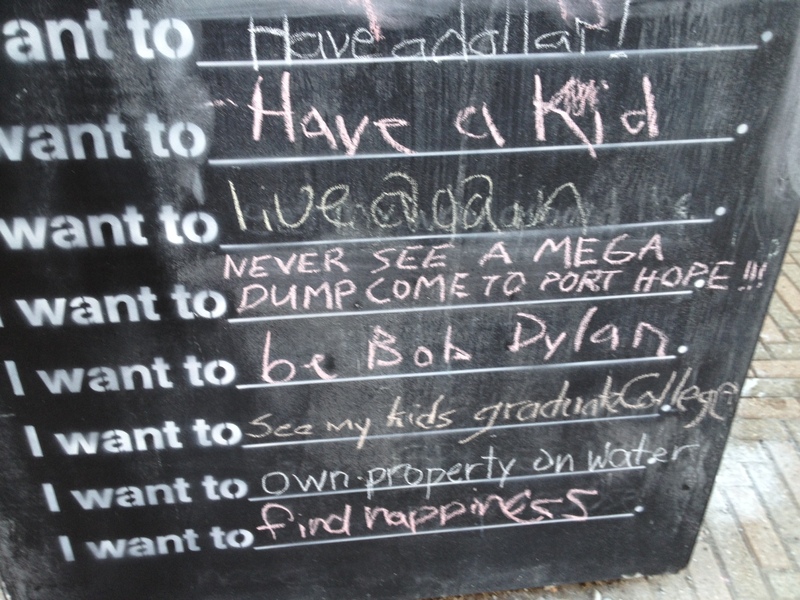 The project came to Port Hope thanks to passionate local residents who created a space for fellow citizens to share their hopes with others. 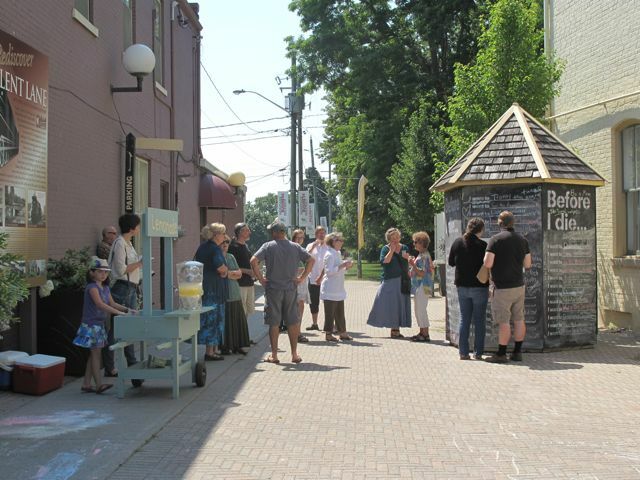 Our opening day featured one of our youngest volunteers and her lemonade stand. 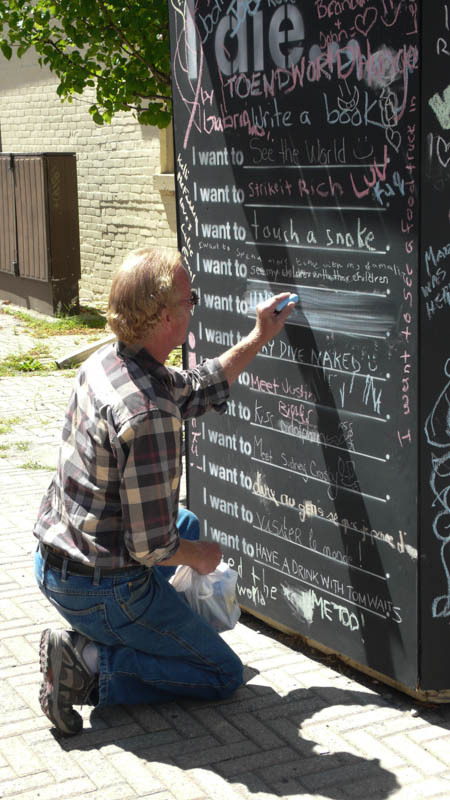 More than 200 walls have been created in over 15 languages and in over 40 countries, including cities as diverse as Amsterdam, Abu Dhabi and Montreal. 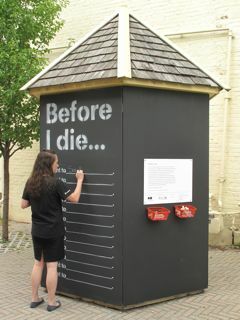 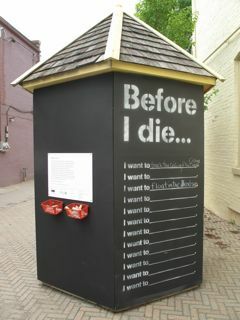 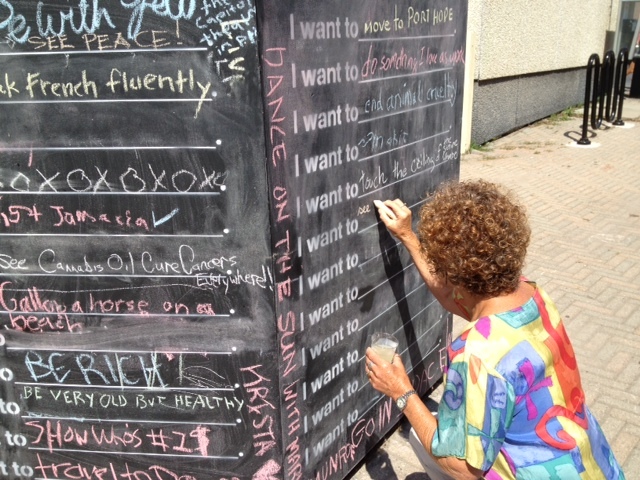 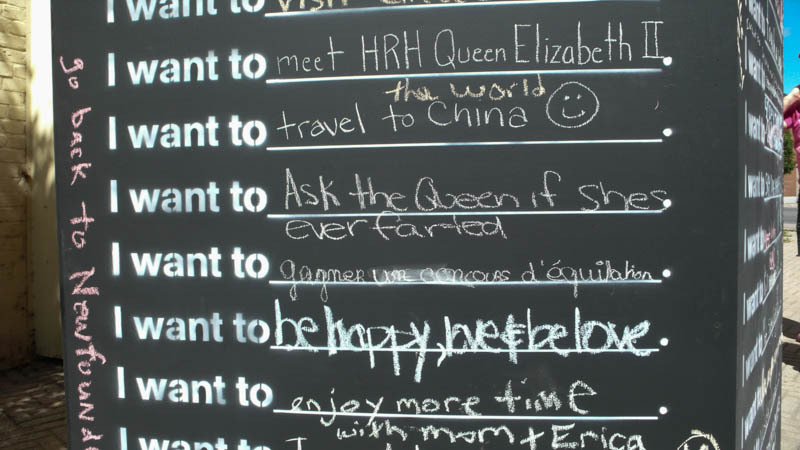 Contact us if you’d like to borrow the panels to mount a “Before I die…” project in your own community.